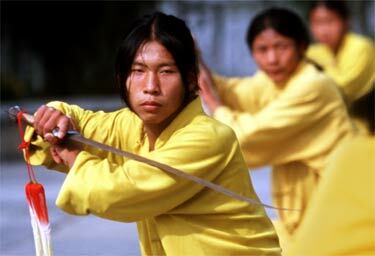 China is the place of origin of the earliest form of martial arts that began 2500 years ago. Martial arts, as the greatest enhancer of the body represent a number of fighting systems, each system possessing a unique set of techniques that is continually perfected over the ages. However, Hollywood placed the idea of martial arts in a box and restricted it as just a cultural practice of Oriental countries, and the truth is Martial arts has been a worldwide practice for quite a long time already. The Chinese martial arts are the most advanced and the most varied. Drawing their inspiration from birds, reptiles, animals as well as their strong philosophies - Chinese martial art is unique and absolutely astounding. a) Northern Shaolin Temple Styles: These styles are said to have originated in the northern provinces of Cchina such as Henna. They focus on kicks, jumps and fluid movements. This is said to be because the northern population of China was taller and made full use of their longer limbs. Changquan, the sword and broadsword routines used in contemporary Wushu competitions, belong to these schools. b) Southern Shaolin Temple Styles: These originated in southern China, in the provinces south of the Yangtze River (Chang Jiang). The people here were shorter and therefore the styles developed here focused mostly on the upper body strength and speed. Some Southern styles are Nanquan, Hung Gar, Wing Chun, and Choy Lay F.
c) External styles: The external style is most often perceived to be synonymous with Chinese martial arts because it focuses on physical strength, agility, stamina and explosive movements. External style training concentrates on muscular power, speed and application. These styles generally integrate their qigong aspects during advanced training levels after the desired physical hardiness has been reached. External styles include most types of Wushu, except Taijiquan, Xingyiquan, Baguazhang and Liu He Ba Fa. d) Internal or soft styles: Soft style focuses on building power by focusing on internal elements such as the spirit, energy flow and by using relaxed leverage rather than brute force. Theorists say that the internal and the external styles differ in their focus on the philosophy of martial arts. The internal stylists are seen as philosopher-fighters, spending more time on developing the soul. The External schools are the ones that focus more on the hard aspect of developing physical prowess. However Internal schools do focus on physical training. The movements and postures are slow as opposed to fast and explosive. The idea is to involve the entire body in every motion, stay relaxed, with deep, controlled breathing and coordinate the motions of the body to the breathing. All this should be done, while maintaining perfect balance. Taijiquan, Baguazhang, and Xingyiquan, Liuhexinyiquan, Liu He Ba Fa and Yiquan are all internal styles. 2. Buddhist styles: Buddhist styles were created mostly within Buddhist temples by Buddhist monks and later spread to laymen. These styles include Buddhist philosophy, imagery, numbers, and principles. The most famous are Shaolinquan, Luohanquan, Hung Gar, Wing Chun and White Crane. 3. Daoist styles: Daoist styles were developed within Daoist Temples by Daoist ascetics and include Daoist principles, philosophy, and imagery. 4. Muslim styles: Muslim styles were practiced by the Muslim Hui minority in China. These styles have Muslim principles or imagery and include Chaquan, Xinyiliuhequan, and Qishiquan. Drawing on physical skills bring about discipline and well-being. Copyright @ ChinatownConnection.com Houston Chinatown Portal. China Martial Arts.